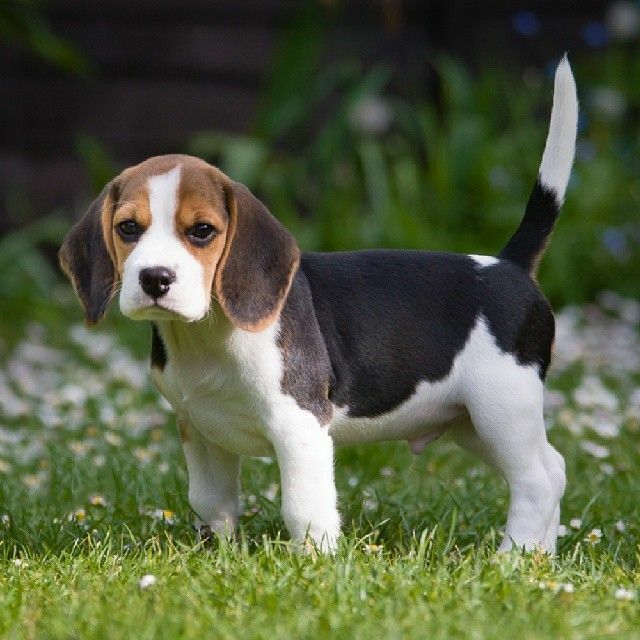 Distinct feature – Beagle is one of the most socialize dog breed because of their lively, active and energetic behavior. They are the great child companion as they are always alert and their even temperament lets them in not showing any signs of aggression. Coat – They have a very sleek and short haired medium length coat, which is easy to groom. Temperament – Beagle is a happy go lucky dog breed. They are easily adaptable to a different environment, a wonderful companion. They are easy to train. Their social nature does extremely well with children and other pets. Activity – Love to go for long walks and are active. Distinct feature – Known for their unique shape almost resembles like a hot dog. They were bred to hunt and they still like to do the same. This breed is great for who are interested in small pets. Coat – Their coat is smooth and very easy to maintain. They need occasional brushing to maintain healthy and shiny coat. Temperament – Their lively and funny nature can make anyone roll over heels. They are intelligent dogs and are needed to be kept engaged in some work to avoid unnecessary destruction. They are too friendly with kids. Activity – They love to go for walks but prefer the short ones as they tire out easily. Exercise should be provided but at different times and intervals. Distinct feature – They have pointed face, silky long coat, and curvaceous tail. They are affectionate and very much compatible with humans. Because of their small size, they need some extra attention while playing with small children and might slip under the feet. They are just adorable. Coat – They have a silky double coat which requires two times brushing every day. Temperament – Though they are toy breed but are excellent guard dogs, they are protective in nature and gives the signs in the form of barking when presuming danger. This makes them a compact, active toy breed. Activity – They love to play with other pets are friendly loves to go for short walks. Distinct feature – Black muzzles, wrinkled forehead, and a curvaceous tail. Not to miss the punched nose. This comical face gives a hilarious expression on one’s face. They are best as the first time pet. They are one of the most popular breeds always ready to something unusual in a positive sense. Coat – Their coat is fine, short and smooth. Temperament – the most cheerful and happy dog which can really hang out it with anyone. Activity – Loves to go for long walks, lively and active in indoor games. Distinct feature – They have the most distinguishing feature because of their compact form of muscular and medium-sized, squarely built dog. Their physique gives them a ravenous yet exquisite look attributed with their wide scissor like sharp teeth. Coat – They have short, hard, thick, flat coat. They need little grooming. Temperament – They are just super – energetic clubbed with tremendous strength and stamina. Loyal, Tolerant and affectionate are the adjectives goes perfectly well with them. They are the outstanding guard dog but also a gentle family companion. Activity – Requires enough exercise and daily long walks, jogs or run. Distinct feature – A well-proportioned dog. They are sturdy, muscular and have a solid bone structure gives it a classic beauty and are highly adaptable. They are one of the most loyal dog breed, ready to go beyond any limits to save their human companion. Their intelligence segregates them from all. Coat – They have a dense and double coat and should be brushed daily. Temperament – Perfect words to describe their temperament would be courageous, keen, alert and fearless. They have a high learning ability. They have strong protective instincts which make them perfect guard dogs. But this does not mean they can’t socialize. They love to be with families. Activity – They love to be a part of the strenuous activity and always eager to learn new things. Long walks, runs, energetic games are the activities they require daily. Distinct feature – They are natural athletes, agile and competitive. Their tolerant behavior makes them an extremely lovable pet. They are one of the most loved pet. Usually, all other dog suffers from bad breath, the golden retrievers are blessed with a soft mouth and smells fresh always. Coat – Water resistant is dense, straight and firm in some it is wavy and requires regular brushing. Temperament – They are charmers. They are lovable, well-mannered, intelligent dogs. They are easy to train because of their gentle behavior. They really know how to please people and other dogs. Get along with children very well. Activity – They love to go for long walks, runs, and some serious exercise. Distinct feature -. They can be a companion dog as well as a hunting dog, show dog, guide dog, service dog, therapy dog, sniffer dogs, and rescue dog. No doubt these makes lab the most popular dog breed or I must say the best breed ever. Coat – They have a long smooth double coat and require regular brushing. Activity – They are energetic dogs always passionate towards exploring and are delighted to play and work hard. They love to go for long walks, runs, and some serious exercise. Distinct feature – A giant, strong, muscular dog. They are large dogs though does not like to do excessive exercise. They are too big in size to adjust in small or compact places. They are great family dogs and love to be around people. They do not go well in warm or hot climates and prefer to stay in air-conditioned place. Coat – They have rough and smooth both kinds of coats. But both are very dense and easy to groom. Brushing of coat should be done daily. Temperament – they are extremely gentle, friendly and very tolerant, especially with kids. They are intelligent and easy to train. They are needed to socialize during puppyhood only. They are slow moving, patient, obedient. They really know how to please people. They are extremely loyal as well. Activity – Must require long walks that too daily as it is beneficial for both mental and physical development of the breed along with brief play sessions. Distinct feature – They are massive with a muscular and powerful body. They are stocky strong dog breed with diverse positive traits like confidence, steadfastness and courageous. But the first thing that attracts is their strong jaws and flat head. Their appearance gives a pre assured misconception that they are fierce or arrogant. But it is proved wrong because being the great guard dogs they are very agile and are wonderful companions. Coat – The coat is short, hard thick and glossy and requires regular brushing. Temperament – They are loyal and protective towards their owners. They are powerful, calm, trainable and courageous. They become natural guard dogs but their even temperament makes them a good social companion. They are easy to train and are highly intelligent and courageous. Activity – They need a tremendous amount of exercise. They love to go for long walks or jogging, swimming and running. Distinct feature – They are medium sized muscular dogs. Their head is the most distinctive feature. A well proportioned of body and mind. The most unnoticeable part of their appearance is their long tongue, proudly owning the award for the world’s longest tongue. Despite their strong look they are one of the most generous dog breeds and are a great companion. Coat – They have short, smooth, close-fitting coat. Grooming is easy. Brushing of coat should be done only when necessary. Temperament – They are high- intelligent and quick learners which make them easy to train. Their bond with family and children are always very strong and close. They are happy, playful and curious. A well brought up and early socialization of this dog will make them easy to get along with other people and pets. Activity – They are athletic and hence really active. They require daily work and exercise. They love to go for long walks or jogging, swimming and running. Distinct feature – Giant and one of the most powerful dogs squarely body shape. They stand erect even when cropped. Their towering presence can never go unnoticed. They are growing entirely their life. The cutest part is despite having the giant size they feel they are lap dogs, which makes them adorable. Coat – The coat is short and thick. Grooming is easy and does not require daily brushing. Temperament – They are often called a gentle giant. All because they are cheerful, patient, and affectionate towards family and children they often bark when the situation is not appealing. They show almost no sign of aggression. They must be taught not to jump or lean on people because of their massive size and weight. Activity – They need a tremendous amount of exercise. They love to go for long walks or jog. Distinct feature – Loved for their small and compact size. They are affectionate and very much compatible with humans. They are just adorable. Temperament – Though they are small in size but are excellent guard dogs, they are protective in nature and gives the signs in the form of barking when presuming danger. Which makes they a compact, active toy breed. Distinct feature – A beloved companion, easy going and one cannot resist without snuggling them. They are cheerful and fun-loving and love splashing around water. They will always the first to let you know if someone comes to meet you but are little poor guard dogs. Coat – They have soft and wavy coats and require daily brushing and frequent grooming. Temperament – With their charming and amusing personality they are one of the most lovable companions. There are average intelligent and respect their masters. They love to hang out with children and understand their place very well. They are easy to train and can easily get along with other people and pets. Activity – They need plenty of exercises. Though they look small in size but have a great amount of stamina and Loves to play indoors. 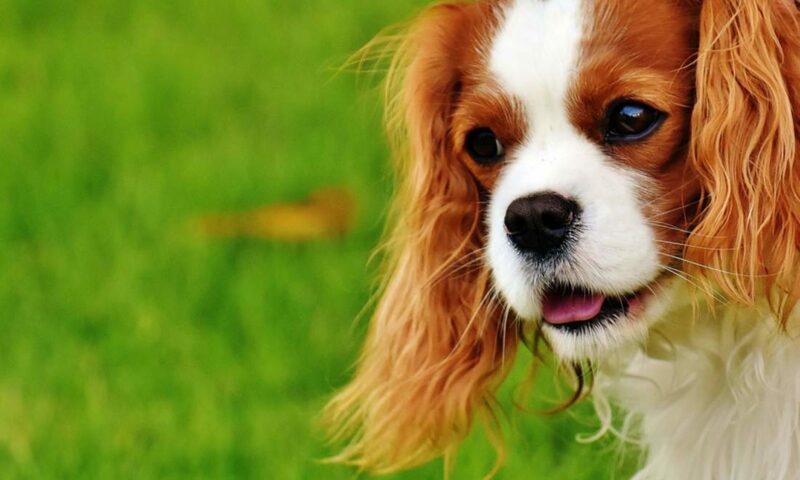 Distinct feature – They are athletes and great charmers also known as a well-mannered dog breed. They are most suitable for dog owners who can give extra attention and a quality time for exercise. Coat – They have a short and dense coat and requires frequent brushing to remove dead hair. Grooming is easy and is not required daily. Temperament – Because of their strong amount of stamina they need to be active for long hours. They hate being sitting around and doing nothing. A perfect human companion goes along easily with other people and pets. Easy to train and loves playing with children. Activity – To cope with their enormous stamina, they need plenty of exercises. They love to go for long walks or jog. Distinct feature – They have the striking features like perky ears and unique marking. Their blue or multicolored eyes are more than enough to attract. Their wolf-like features are too much to appeal. Coat – They have medium length dense and double coat and thick fur. Need to be brushed daily. Temperament – They are happy – go – lucky dog always keen towards socialization, games etc. they are loving, gentle perfect with children. They easily go with other people and pets. All should be mentioned is hey love everyone. They are very intelligent and obedient and hence are easily trainable. Activity – They should not be made to do excessive exercise during warm weather. They love to go for a long walk but does not like to do vigorous exercise. Distinct feature – Shih Tzu is a small sturdy and an intelligent breed. The most attractive feature of them is their human like eyes. They are also one of the least delicate amongst toy breeds. Coat – They have a long dense coat that can even reach up to the floor and requires regular grooming. Temperament – Shih Tzu are packed animals as they are alert, clever, happy, gentle, playful. They are easy to go with other animals. Also, easy t train as they can tell you what they want. They are a perfect alert watchdog. Activity – They love to go for short daily walks and play indoor games. They also love to play outside. Distinct feature – There punched face is the cutest feature of Lhasa past. They are small, sturdy and a miniature breed. Coat – There body is fully draped with heavy and long fur all around. They need coat brushing every single day. Temperament – They are intelligent lively and affectionate dog breed. Are responsive towards training and makes a good watchdog. They are highly expressive and want the things their way. Coat – Short hair coat needs occasional brushing or cleaning with damp cloth. Whereas for long hair coat everyday brushing is required and regular ear checks up is advised. Temperament – They are lively, active and not to go with the size they are really courageous. Happy – go – lucky dog breed who loves to hang around with kids and other pet friends and becomes a great companion to hang around. Distinct Feature – Persian cats have large round head and eyes with short nose and small ears again with rounded tips. They have a muscular and sturdy body. Coat – They are famous for their looks especially the thick long flowy coat with fine and perfect textures. The covers the whole body forming frills between the front legs, ears, and tails. Temperament – Persian cats are sweet, gentle and quiet companion likely to create any hassle to you and your home. You will definitely love the company. Activity – They love to be indoors climbing upon racks, curtains, furniture etc. They can spend time sitting on chairs and there favorite spot will be your lap. Persian cats do not look forward to more exercise just weight management is required for them. Distinct Feature – Body is often described as a square when legs and top line are viewed from the side ways. The hair around the neck appears like a collar. Coat – They are easy to groom their soft and short haired coat. Bathing is required only when absolutely necessary and brushing should be done regularly with bristle brushes. The breed is a light shedder. Temperament – A very bright and obedient dog well determined, observant and protective. They need to be trained at a very early stage so to overcome their shy nature. They become good police and guard dogs. They are good with children and other pets as well. Activity – Being a working dog needs to have an active outdoor life. Loves to do lots of exercises and go for long walks. Distinct Feature – They are huge well- built physique with great power. They have wrinkled broad muzzle and skull makes which are deep and darker in color. Also, they have a flat nose with large nostrils and V-shaped high set ears. Coat – They are shorthaired and slightly rough coat needs to be groom daily. Bathing is to be done when required. Temperament – they are devotional, well-mannered breed loves to play with children and fearless unless provoked. Activity – They love to go for long walks and is required to fulfill their primal canine instinct to migrate. They should be trained from a young age to avoid behavior issues in future. Distinct Feature – they have wrinkled massive head which is heavy and broad in shape. Their nose is large with wide open nostrils and has a short muzzle. They have the powerful and muscular body. Coat – they have the short haired coat and are an average shedder. Grooming is very easy and bathing should be done when necessary. Temperament – they have good and calm nature. They are loyal patient and devotional. If they are socialized from the earlier age they become very easy to go with other animals loves to hang out with children. Activity – they need lots of exercise with daily long walks for their health and also to avoid future behavioral issues. Distinct Feature – They have brick like head which forms broad shape between cheeks. They have a muscular yet agile physique which is extremely strong. Coat – They have a short and smooth coat which is easy to groom. Brushing should be done regularly and bathing is to be done when required. The breed is an average shedder. Temperament – They are calm, obedient, well natured and friendly dogs. If they are socialized from the earlier age they become very easy to go with other animals loves to hang out with children. Activity – They need plenty of regular exercise with daily long walks for their health and also to avoid future behavioral issues. We Dismantle All The Myths And Prejudices About Cats! Previous PostPrevious Is a Pitbull a Breed?